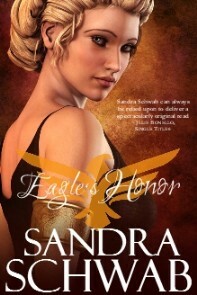 The Eagle's Honor series follows the story of one family across 300 years of the Roman Empire, from Caesar's conquests in Gaul to the fall of the Germanic limes in the 270s. It started out as a fun project in 2014, when somebody suggested on Twitter I ought to write a Roman historical. And so I did. And then it became a whole series. With spin-off novellas. Set during the time of Caesar's conquests. Marcus is the one who has the snake armring made. He gives it to Arndis as a token of his devotion. Marcus is a descendant of Marcus & Arndis from Eagle's Honor. Set in AD 190 at the Upper German-Raetian limes. 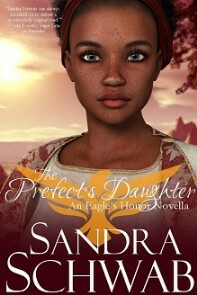 Livia is the great-granddaughter of Lia & Marcus from Eagle's Honor: Banished. Set in ~ AD 270, when the German limes fell. The heroine is a descendant of Livia & Adelar from Eagle's Honor: Ravished. Soon after I had begun to write Eagle's Honor: Ravished, I started to think that Caius and Lucius would deserve a story of their own. And then I stumbled across a digital model with whom I instantly fell in love and who inspired me to write a story about Lia and Marcus' daughter. Thus, the idea for spin-off novellas was born. Caius is the grandson of Lia & Marcus from Eagle's Honor: Banished. I blame Twitter for the Romans: Back in the summer of 2014 I was part of a conversation on Twitter about Roman historicals - or rather, the scarcity of them. And when I mentioned I live near a former border of the Roman Empire and near a reconstructed fort, somebody suggested I ought to write a Roman historical myself. For some strange, unfathomable reason I said I would think about it. A couple of days later, I visited said reconstructed fort, the Saalburg, where I was struck by the strangest feeling. Walking between the barrack blocks and the granaries, I suddenly felt as if I had stepped back in time. For a just a little moment, I felt a keen connection to the men who had once been stationed at this fort. Indeed, that feeling was so strong that the sight of the eagle standard in the shrine of the standards nearly made me burst into tears because I was so very touched. (And the eagle standard doesn't even belong in that shrine! After all, it's a legionary standard, and the fort was only ever garrisoned by auxiliary troops.) It was then that I decided I would indeed write a Roman historical. For Ravished and Vanquished, by contrast, I did choose a real place as the setting: the Saalburg. Its original Roman name has been lost, so I came up with my own: Saalensium.